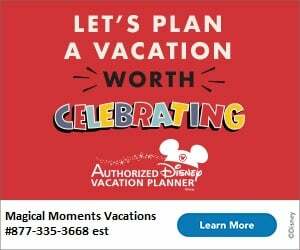 If you are heading to Disney World and are taking advantage of the Disney Dining Plan you are going to get one snack credit per person per night of your visit. There are lots of things you can use these snack credits for. But if you are like us, you want to use them well instead of getting bottled water, apples, or forgetting to use them up at the end. Before ordering any snack please make sure to confirm that it is still a qualifying Disney Dining Plan Snack Credit item. Inclusions are subject to change and it could be a costly mistake. There are various gift shops where you can pick up these ~ 5” wide decorated cookies. They are yummy and so cute! If you are looking for a wide assortment try the Polynesian Resort gift shop for princess and character cookies. My kids love picking these up before we head home as we use up the last of our snack credits! Note: A reader tried one that they did not like and had bought 6. If you are buying a lot, you might want to try one first to make sure they are fresh and to your liking. 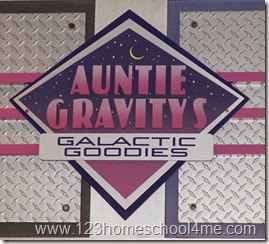 You can get these delicious smoothies in various blends at Auntie Gravity’s Galactic Goodies in Tomorrowland. Our favorite is tropical fruit. 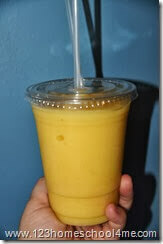 These delicious smoothies are not only tasty, but a great way to cool off and rehydrate in the hot Florida weather. 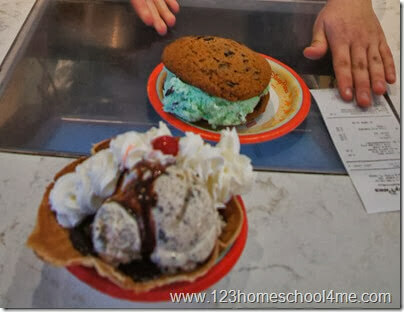 These are the largest most delicious ice cream Sundaes you are going to find at Disney World. You will find lots of ice cream goodies at Plaza Ice Cream Parlor on Main Street. The Ice Cream Cookie Sandwich is HUGE! 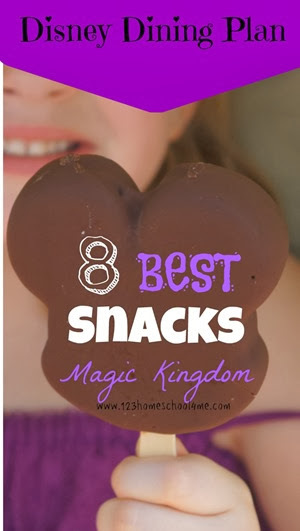 These are quite possibly my favorite treat at Disney World. They are popular with many guests as is evident by the large lines you will find here. But it is totally worth it. 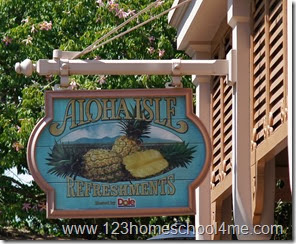 You can find these pineapple refreshments at Aloha Isle in Adventure Land across from the Swiss Family Robinson Tree House. 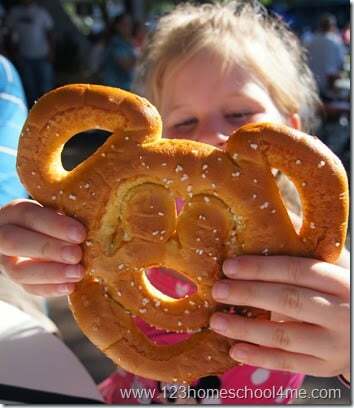 These Mickey Pretzels are just plain fun and and a great pick me up if you are hungry. You can find Mickey Pretzels throughout the park and just under the People Mover in Tomorrowland. 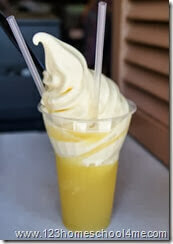 This brand new treat found in Gaston’s Tavern in the New Fantasyland Expansion is fantastic! One sip and you’ll be hooked on this refreshing treat. 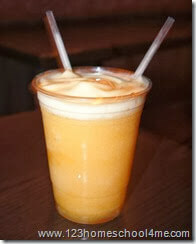 Le Fou’s Brew is frozen apple juice & toasted marshmallow topped with all natural passion fruit-Mango foam. 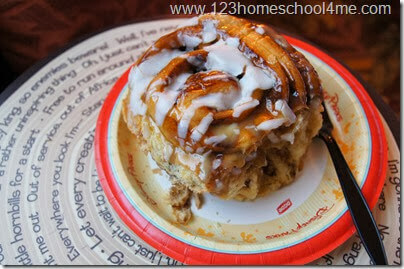 This Cinnamon Roll found in Gaston’s Tavern in the New Fantasyland Expansion is not only the largest cinnamon roll you’ve ever seen (the size of a loaf of banana bread) but also one of the tastiest. Save a snack credit and get it in a to go box for tomorrow’s breakfast. 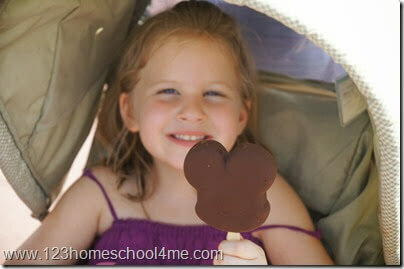 It just wouldn’t be a Disney vacation without a Mickey Ice Cream Bar or Sandwich. 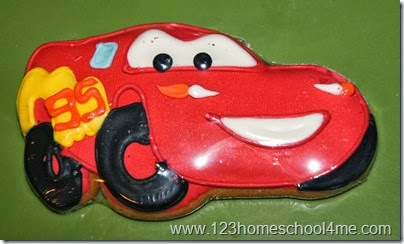 Such a fun treat that will bring a smile to every kids face! Helpful Hint – Water’s Free! You can get a glass of ice water FREE at any snack or counter service facility that has a soda dispenser! Disney makes it easy to rehydrate! 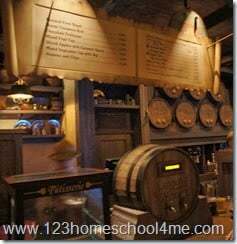 If you are looking for great restaurants while you are at Disney World don’t miss Disney Dining Reviews.